Description: These headers are made to work with the Arduino Uno R3, Leonardo and new Arduino boards going forward. They are the perfect height for clearing the USB-B connector and great for stacking multiple shields. 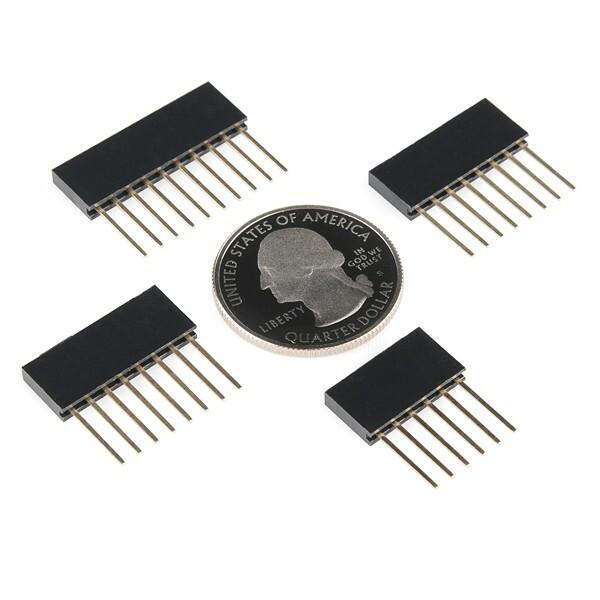 This kit includes 4 headers (1 8-pin, 1 10-pin and 2 6-pin), enough to connect a shield to an Arduino board. These are the same headers we use in our tutorials and with our own shields.